Dr. Susan Goldfarb can now reverse the risk of tooth and bone loss with the Laser Assisted New Attachment Procedure (LANAP), a type of gum disease treatment. This laser gum surgery is reliable and offers patients beneficial side effects like bone stimulation, which can help teeth attach to the bone more successfully. To prevent tooth and bone loss, Dr. Susan Goldfarb now offers patients the Laser Assisted New Attachment Procedure (LANAP), a type of laser gum surgery. This gum disease treatment can treat gum disease and stimulate bone regeneration, which lowers the odds of teeth being lost. Some people view tooth loss as something that is normal or inevitable, but they fail to realize that tooth loss leads to jaw bone loss, which has many undesirable consequences. Conventional gum surgery can improve a patient's oral health, improving the likelihood of teeth and bone density being maintained. However, Dr. Goldfarb recommends LANAP because it offers unique benefits. Since the laser used only affects periodontal disease, healthy gum tissue can be left in place to support and protect the remaining teeth. The laser also has a stimulating effect on the bone near the teeth; the stimulation promotes regeneration and makes it more likely that teeth will reattach to the bone. Traditional periodontal surgery does not have this effect. Many patients do not realize that, once teeth are lost, decreases in jaw bone density will follow. A tooth that is healthily anchored in the jaw will provide stimulation, which signals bone maintenance. Once the stimulation is lost, the bone starts deteriorating. This process, which is called resorption, can have many consequences. One is that tooth replacement options like dental implants and dentures may not be feasible if there is insufficient jaw bone to support them. Patients who are losing bone density will also see changes in their facial structure and mouth shape. Patients with good oral hygiene habits may be able to preserve their teeth, but patients who have gum disease should see Dr. Goldfarb for a gum disease treatment such as LANAP as soon as possible. By having LANAP, patients can limit the effects of gum disease, reduce the likelihood of tooth loss, and prepare themselves for any tooth replacements needed in the future. Patients who suffer from gum disease and would like to learn more about laser gum surgery should call Dr. Goldfarb's office for more information. Susan Goldfarb is a periodontist offering personalized dental care for patients in Teaneck, NJ since 1984, and was one of the first female periodontists in Bergen County. Dr. Goldfarb received her Doctorate of Dental Medicine degree from the University of Pennsylvania, School of Dental Medicine, and completed a General Practice Residency at Newark Beth Israel Hospital. She went on to receive her Certificate of Periodontics from the Fairleigh S. Dickinson School of Dental Medicine. Dr. Goldfarb is part of one percent of dental professionals providing the only FDA cleared laser procedure for gum disease and periodontal treatment. Aside from being a laser practice, she also performs BOTOX and facial fillers such as Juvederm Ultra. 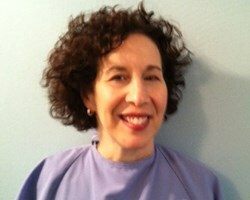 To learn more about Dr. Goldfarb and her dental services visit her website at http://www.flossnightly.com and call (201) 374-8460.